Across 2 Cultures - Cross-Culture Parenting and Lifestyle Blog: From birth to now. I did this last year when she turned one. 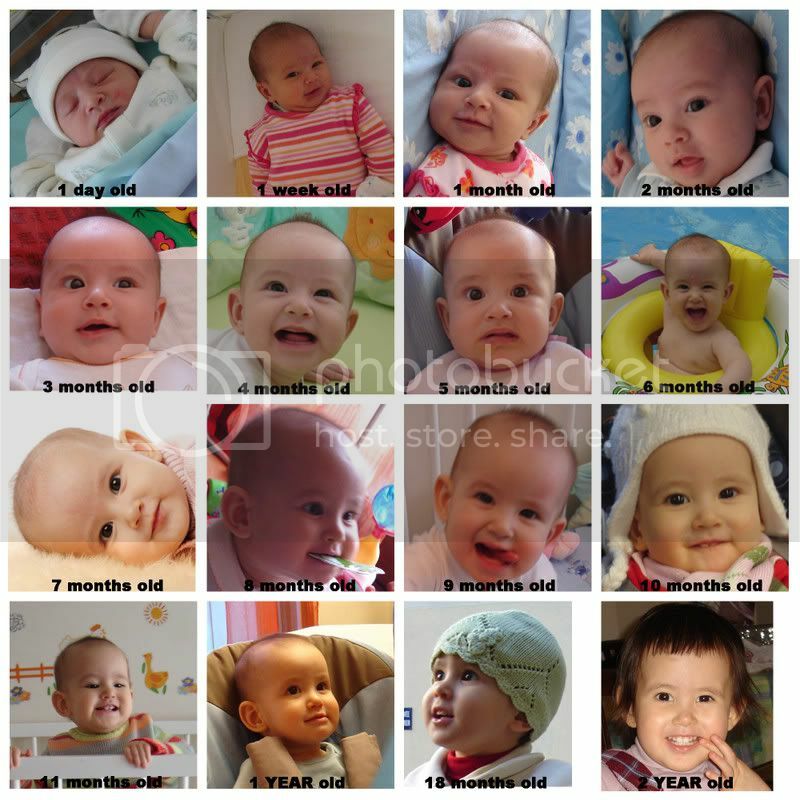 I just added two more photos of her, one at 18 months and another at 2 year old. Look how she has changed over the two years. It's the first time I'm seeing this. You can really tell that she developed her look at 6 months. Before that, she looked rather different. Look at that! I love this montage... and am impressed that you've managed to continue blogging frequently. Good job! Thanks Ivana, you have no idea how much more I wish I could have blogged. What Laetitia loves to do. Koony Planet again last weekend. A little celebration in the daycare.